The group was founded in April 1973. 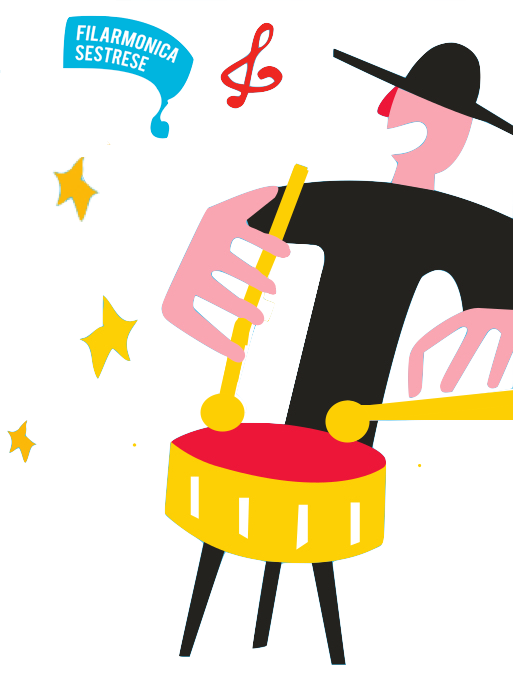 100 active members at the age of 7 to more than 50 make music in four different ability groups. Besides the usual marching music with nature fanfares in Es/B, various drums and percussion this orchestra impresses with a great repertoire of concert music on the highest levels. The repertoire features marching music, Polka, Waltz, Swing, Samba, as well as classical and heraldic sounds. The musical education is given by instructors in the own club house. Musical director and conductor is Mr Hans-Joerg Laurisch, vice music director of brass band music of the music federation of Germany. Various tours to national and international music festivals, meetings and competitions have brought this band to Belgium, Poland, France, Italy, the United Kingdom, the Netherlands, Sweden, Mexico, the Czech Republic, Belo Russia, Monaco and the United States. In 2000 the band took part in the third German orchestra competion in Karlsruhe. Exceptional concerts at the “festival of nations” in Bremen, at “Euro Disney Resort” in Paris, at the “Slaviski Basar” in Witebsk/Belo Russia, in Monaco, Genova, Mexicali/Mexico and at the summer festival of German president at Castle Bellevue in berlin in June 2003 are some of the most impressive highlights in the history of this ensemble. At the third federal music festival of Germany in Friedrichshafen the band achieved a second prize and was rated “excellent” at the concert competition. 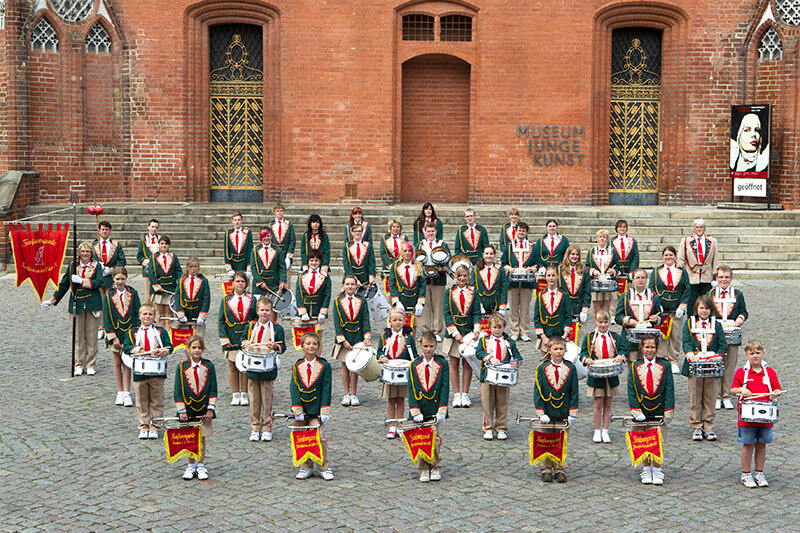 During the 1st official German Championships of Marching Music 2007 the band achieved a 3rd prize. Five CDs has been produce so far and reflect the music of the band in recent years. In 2008 a new era began with new instruments. Since then the band performs in big nature cast and with a new sound. 2009 the band made a concert tour through Italy and Slovenia, in 2010 they travelled to the “Feria” festival in Nimes/France. In 2013 the band achieved a second prize and became vice champion of Germany at the German Music Festival in Chemnitz and went to Bulgaria.